As a dedicated artisan of custom moccasins & sandals, I take pride in my work. 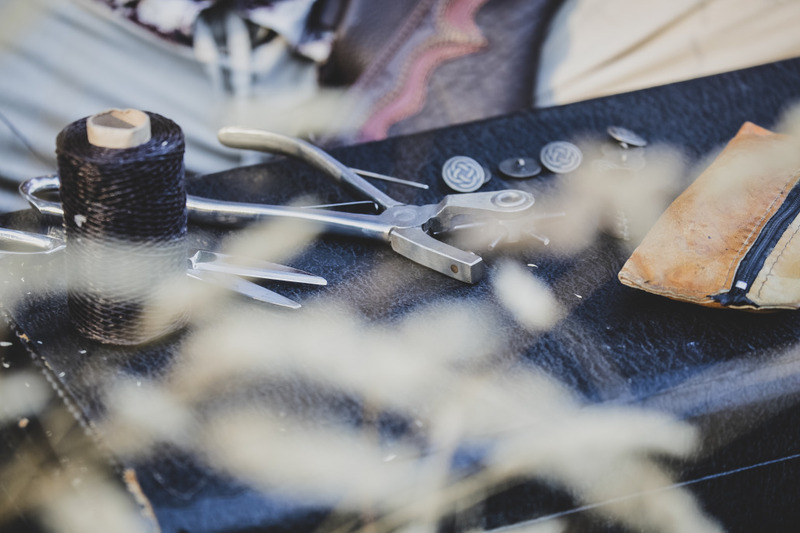 I am passionate about the individual designs and the custom fitting process that distinguishes each pair of my custom moccasins as it’s own creation. My personal mission at Soul Path Shoes is to offer you a level of quality, care and attention to detail in my work and service that is not available in most footwear today. 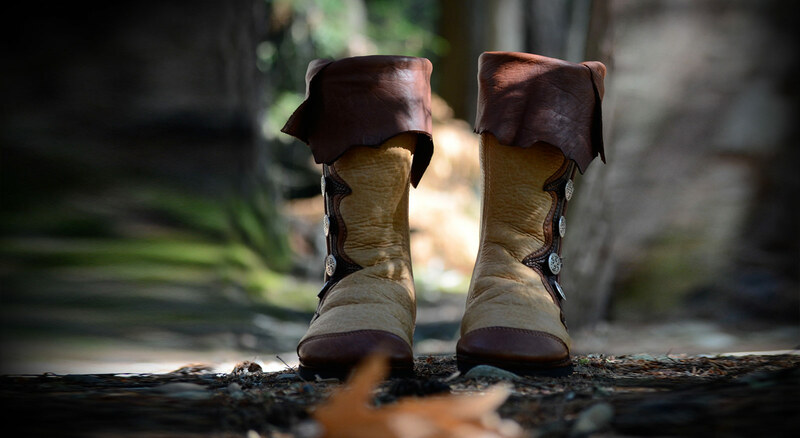 From this foundation I take pleasure in creating custom moccasins, moccasin-boots, and leather sandals that are artistic and unique, elegant, durable, repairable, and most of all extremely comfortable. Video below – A glimpse into the creative process of artisan shoemaker Nathan deBridge. 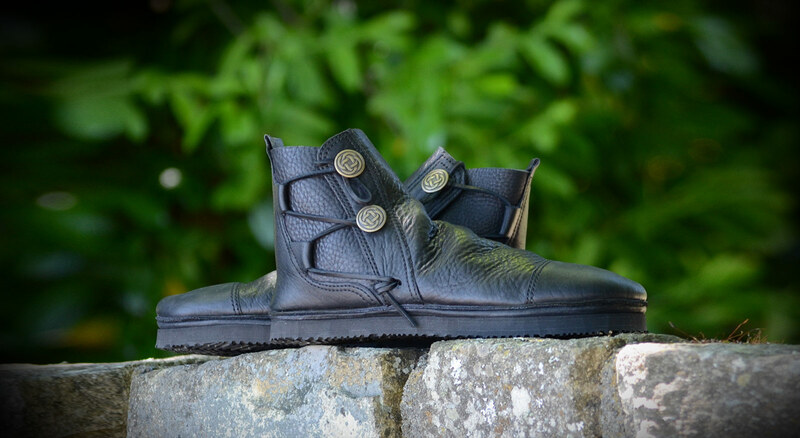 Soul Path Shoes is a world class moccasin, boot & sandal studio founded by artisan shoemaker, moccasin maker & designer Nathan deBridge. Nathan is a preeminent craftsman in his field and his work is highly sought after. Consequently, his fans and customer base have been growing steadily for years. 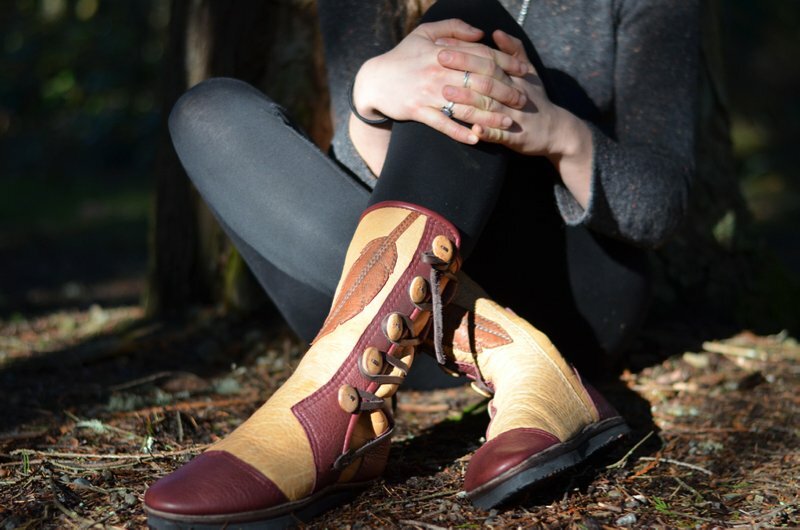 Ultimately, the craftsmanship at Soul Path Shoes speaks for itself, and the quality of the artisan’s touch can be witnessed in the studio as well as in photos of his custom moccasin boots, slip-on designs, and sandals. 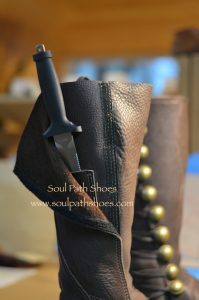 Soul Path Shoes is dedicated to providing the utmost quality custom moccasins and moccasin boots to customers worldwide. These custom moccasins feature full grain buffalo (american bison) or bull hide, 2 of the finest leathers still tanned in the U.S.A. today, as well as plush, cushioned insoles with arch support, and quality Vibram rubber outer soles. Minimalist or all-leather soling options are available on all custom orders. Our specialty at Soul Path Shoes is one-of-a-kind custom moccasins, buffalo moccasins, slip-on boots, moccasin boots, slip-on shoes, knee high boots, women’s boots, men’s leather boots, elven boots, elven moccasins, fantasy boots, fantasy moccasins, motorcycle boots, riding boots, boots for LARP, moccasin boots for SCA, Renaissance Fairs, Medieval Fairs, boots for Burning Man, period costumes, cosplay, theatre, stage, stalking, and earthing. Also specializing in shoes for hard to fit feet, boots for large calves, boots for small calves, shoes with a flat sole, or any other customers seeking the true ergonomic comfort of custom moccasins, custom moccasin boots, handmade moccasins, and buffalo moccasins. Soul Path Shoes offers a special custom fitting technique for online customers all over the world, including the U.S.A & Canada, France, Denmark, Germany, Belgium, Australia, New Zealand, Great Britain, among others. 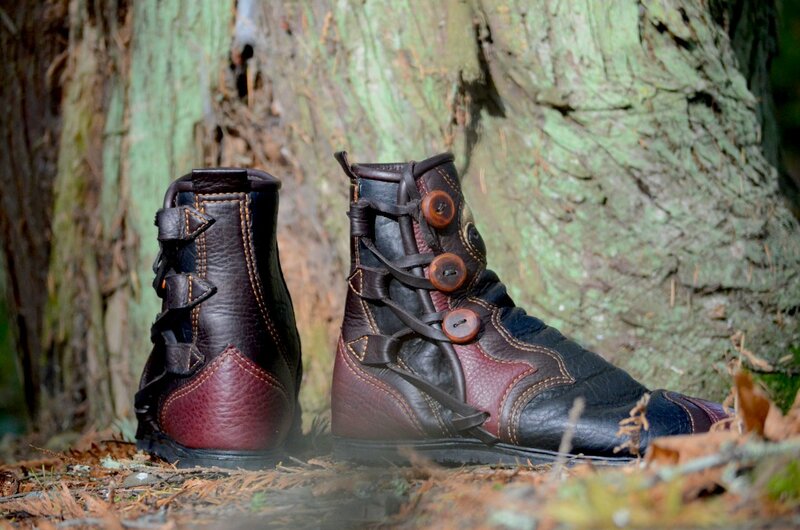 Soul Path Shoes custom moccasin boots are very popular in California & Washington, in cities such as Seattle, Portland, San Francisco, Sacramento, Los Angeles, Tucson, Denver, Houston, Austin, New York, and Philadelphia, to name a few. In Canada we serve all cities, including Vancouver, Victoria, Salt Spring Island, Calgary, Toronto, Montreal, Quebec to name a few. Soul Path Shoes often makes leather sandals and custom moccasin boots for festival participants at the Texas Renaissance Festival, the Koroneburg Old World Festival in California, the Socal Ren Faire, the Northern California Renaissance Faire, and found vending at local fairs including the Vancouver Folk Music Festival, the Nelson Downtown Market, Salmon Arm Roots & Blues Festival, the Salt Spring Island Saturday Market, Vancouver Circle Craft, and is a proud member of the Salt Spring Island Studio Tour, where customers can come visit the studio and get a custom fitting done in person for their own pair of custom moccasins. At Soul Path Shoes we look forward to making your dream boots come true!